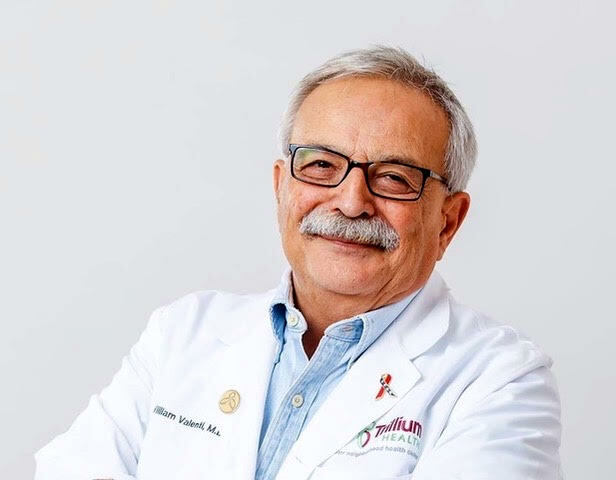 To those who know him, Dr. Valenti is far more than the co-founder and staff physician at Trillium Health (formerly Community Health Network), but a man who has dedicated his career and life’s work to ending the AIDS epidemic. And now, those who have been following know he is part of the joint effort that is rapidly closing in on a once inconceivable goal to end the HIV Epidemic in New York State by 2020. Throughout his career, Dr. Valenti and his team of colleagues took tremendous risks in order to advance treatments and save precious lives. While he admittedly did not do it alone, his willingness to put everything on the line to improve the health of people with HIV/AIDS made an impact on HIV treatment as we know it today. Dr. Bill Valenti is an infectious diseases specialist and a native of Rochester, NY. He is the co-founder of Community Health Network (1989), now Trillium Health. He has been working in HIV medicine, policy and research since the early 1980s. In addition to being a staff physician and Senior Vice-President of Strategic Advancement at Trillium Health, he is Clinical Associate Professor of Medicine (Infectious Diseases) at the University of Rochester School of Medicine and Dentistry. The tremendous progress made by Dr. Valenti and his colleagues since 1981 has relied just as much on politics as it has on medicine. A front-line physician in the fight against HIV/AIDS, Dr. Bill Valenti is also a strong advocate for patient care. He serves as chair of the Infectious Diseases Committee of the Medical Society of the State of New York, and is a 2013 recipient of the Linda Laubenstein Award for Clinical Excellence from the New York State Department of Health. Most recently, Valenti has served as co-chair of the Care Committee on the New York State Health Department's Task Force to End the HIV Epidemic by 2020.